Age 23 Yrs, 9 Mos. 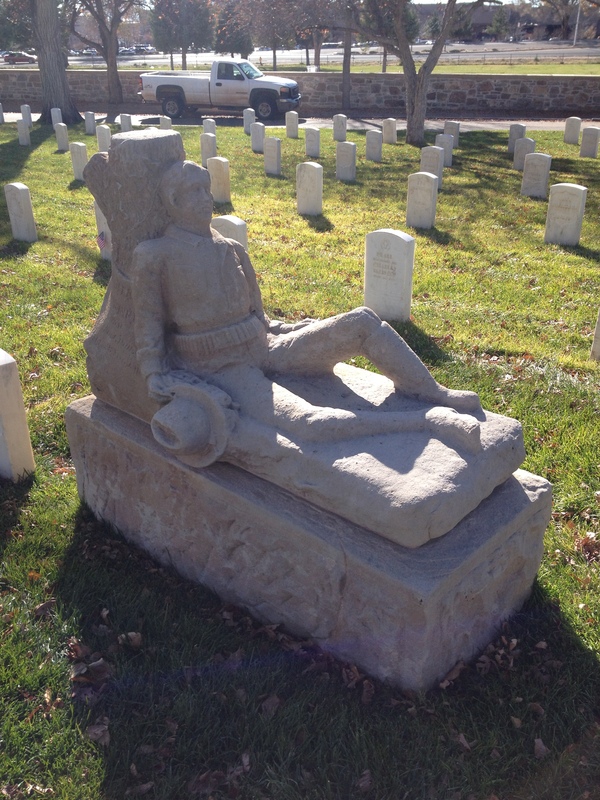 Marking the grave of Private Dennis O’Leary in the Santa Fe National Cemetery is the hand-carved sandstone gravestone, which O’Leary reportedly carved for himself. 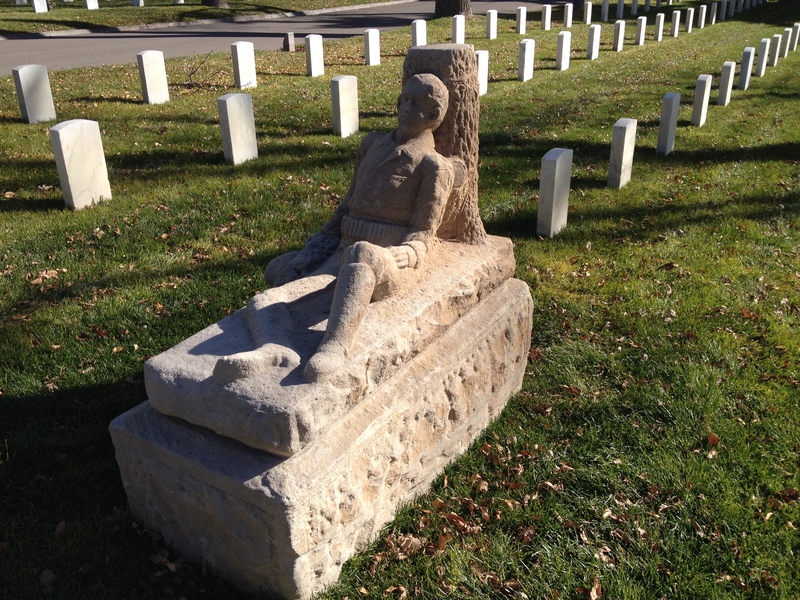 Several legends have been told surrounding the soldier’s monument. As one story goes, O’Leary was bored and carved the gravestone including the inscription that states his death date. Then on that date he committed suicide leaving only a note with instructions that he was to be laid to rest underneath his work of art. Another story states that he deserted, carved the gravestone including his death date, turned himself in to the military authorities at Fort Wingate and was summarily hanged on the date he himself had inscribed. Both fanciful stories, however, do not jibe with the military records which cite tuberculosis as the cause of his untimely death. Private O’Leary was first buried at Fort Wingate, New Mexico. But, when the fort was decommissioned and closed the soldiers buried there were removed to the Santa Fe National Cemetery. The photographs in today’s blog post were taken by my friend, Dan Siburg, who often thinks of me as he passes by a cemetery, as many of my friends do. While I completely understand why they do, on some level it is still a bit disturbing. I know it is my own fault! Great information… thank you. I love the little stories that go along with the facts.